Giveaway and sale alert! 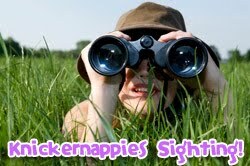 This week, Knickernappies stackable menstrual pads are the Trophy Tuesday giveaway item on Cloth Diaper Outlet's I Love Cloth Diapers Blog! Knickernappies menstrual pads consist of an outer shell & liners that allow you to customize your absorbency while saving money. 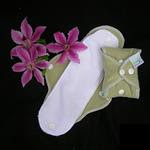 Enter to win a Knickernappies stackable menstrual pad set in microfiber or hemp in this week's Trophy Tuesday giveaway. You can also save 15% when you order Knickernappies stackable menstrual pads at Cloth Diaper Outlet this week! Back to school ideas for your toddler! What to stuff in your pocket diapers!